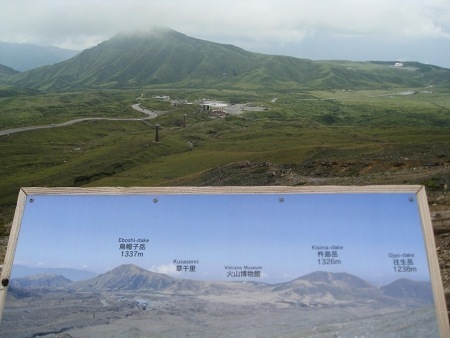 When we were in Japan a good year ago, we had the great chance to see mount Aso. just in case someone didnt notice this comment. There is currently a public debate in Germany about what to do with long-term unemployed or similarily precarious individua. In particular in Germany there exists a social care instrument called “Hartz IV” which combines unemployment benefits and welfare benefits. The debate saw meanwhile quite some contraversial statements, including a statement by the current minister for foreign affairs Mr. Westerwelle, who warned -according to Spiegel-Online in that context of “late-roman decadence” and – again according to spiegel-online demanded that recipients of Hartz IV who do not display enough flexibility should be further sanctioned (there are already sanctions). One of his main ideas which stood behind these statements was – if I understood correctly that “work should be worthwhile again” . In particular it was inferred in that context that some recipients of Hartz IV receive more benefits than some who work full-time in a badly paid job. Meanwhile people tried to collect information about which assertions are correct in that context. Like there was a nice (partially even tabularized comparision) about benefits and unemployment in Berliner Zeitung (unfortunately I currently cant find the link) which displayed that less benefits do not automatically increase job chances. Likewise Frederic Valin of the Berlin blog Spreeblick collected some arguments, which disagree with some common buzz-terms which were used by some politicians, others provided examples where working (in contrast to receiving benefits) would not pay out a.s.o. The debate had now been even more spurred by the SPD top-candidate for the federal state of Nordrhein-Westfalen Hannelore Kraft who suggested –according to Spiegel Online – that recipients of Hartz IV may have at least some kind of job if they could work in places which are oriented to the public good like in care for the elderly etc. These recipients could then earn a little more money than the usual Hartz IV money, which is 359 Euros a month. The main idea behind that proposal being probably that this would relief recipients of Hartz IV from the feeling of being some kind of public “parasites”. In all the discussion I somehow missed out something, so I felt I had to explain this here on the blog. Guido Westerwelle’s idea that “work should be worthwhile again” will here actually also be the key issue in my arguments. The question how to find a measure for what is “worthwhile”, independent of market mechanisms will be at the center. Before coming back to the discussion about the value of work, one has to digress a bit. The “world market” would in a simplified picture basically consist of three main ingrediences: ressources (I consider machines to be ressources for simplicity), the labour market and the financial/partially entrepreneurial sector. In the labour market one gets money for labour and in the financial/partially entrepreneurial sector the money is again very simply speaking mainly made by providing the “fluidity” (i.e. e.g. by distributing investments, transfer actions), by handling risks and responsibility (like for example for the workers). Labour is usually paid according to availability of the needed work force (the market). Now one observes the following: The labour market is in decline. It is first in decline with repect to the overall production, mainly due to rationalization but secondly it is in decline with repect to the financial sector. For the first assertion I have spend quite some time to gather actual data in the past days, whereas the second assertion will be left unproven. Data for the assertion that the labour market is in decline: In the already mentioned interview Jeremy Rifkin gives some data for the decline in employment (and in fact he wrote a whole book about it) and there are others (some are e.g. listed in the german Wikipedia). In fact the issue of “machines killing labour” is old enough that as a kid I imagined that when I would be an adult I wouldn’t need to work anymore. This situation is not yet there (and its very debatable wether it will be like that) but there are meanwhile rather clear indications that the overall trend of rationalization is killing jobs is true. I didn’t read Rifkins book and there is probably enough data in that book, but there is also public accessible information in the internet. That is the International Labour organization ILO hosts at laborsta quite an amount of data, however this data has only very partially been analysed. I actually even corresponded with the ILO and it seems one of the best available statistical ressources which display the long-term decline of employment is given in this document. Here the socalled elasticity is listed over 4-year periods starting from 1992 and ending in 2008 (Box 19b). The elasticity is calculated by dividing the observed growth rate of employment during any past period by the observed growth rate of GDP during the same past period. That is for example if the amount of people having an employment would be growing by a factor of 0.02 and the world-wide GDP would be growing by a factor of 0.06 in four years then the elasticity would be about 0.3 as it is given in the table. In other words if the GDP wouldn’t grow one could assume that the employment would be in rather rapid decline. Similar things can be deduced by looking at the productivity (see productivity at KILM) which seems to have been growing in the same order of magnitude on a first glance (unfortunately here there seem to exist no worldwide analysis). Hence as a consequence of the above the money which used to be in the labour market goes either into the financial sector or into ressources ( i.e. simplified into machines). There is also quite some labour going into “information production”, which could also be seen as going into ressources, however it should be noted that here the issue of its easy duplication has to be considered. As a consequence Rifkin proposed e.g. in his interview to establish a tax on machines. There is also a trend to delegate the original entrepreneurial risk to labour force. See for example outsourcing of the job market for software development (see e.g. this or this company) This happens even on the academic market and not only on the teaching side (see e.g. this randform post) but also on the research side -where it should be pointed out that especially special types of research are a high-risk undertaking (see e.g. this company, which is supported by one of the most prestigious scientific journals). By looking at these trends (it would be of course helpful to have more data accessible and more data analysis at hand than the above one currently provided by ILO) one sees that unemployment is rather not due to “lazy parasites” which should be seen in connection with “late-roman decadence” but rather due to a world-wide rationalization. Sofar there seems to be no easy recipe how to adress the above problems and maybe – at least for a certain time there can be only smaller steps applied (like maybe the above mentioned taxation on machines). However I think it is necessary to rethink the paradigm of work in general, which brings us back to the original question of when is “work worthwhile”. In particular it is also clear by the above that the old labour market mechanisms do not work anymore as they used to. There will be more and more people without labour and if there is no welfare these people will be without income. As a consequence it will be important to understand what work means and why and when “work is worthwhile”. And as I tried to explain above it is worthwhile to understand this independently of current market mechanisms. In particular the usual “parasite” reproach towards unemployed presupposes that work is something “unpleasant”. Paradoxically it is however NOT SO THAT THE MOST UNPLEASANT JOBS ARE THE BEST PAID JOBS! On the contrary, not so pleasant jobs like cleaning public toilets are rather lousy paid! Thus if one would assume that employment would decline to such an extent that unemployment/welfare benefits would be needed to be paid to a great percentage of the poulation, i.e. if one would be in a situation, where one would have a quasi basic income, then it is indeed an interesting question, who would do the unpleasant jobs in that context. Hence for simplicity assume all of the population receives a basic income. My claim is that in this context it is important to find out what is not pleasant/especially strenous at a job and to have a public debate about that. In particular in that context “work could be seen worthwhile again” if the unpleasant parts are adequately honoured. If these unpleasant parts would be honoured adequately then there would still be enough people doing “unpleasant” jobs, in particular those which can’t be done by machines (why not clean the toilets of Bahnhof Zoo for a month stay in a villa at an italian lake?). The time dollar is only very limited capable to capture the unpleasantness of certain jobs. It is by the way also not easy to assess creative work with a time-dollar. This reassessment of the value of work however would probably also imply that rather pleasant jobs may be paid rather poorly. It is of course not easy to assess, what is unpleasant and what not, in particular skills, personal preferences and mentality play an important role in here. Everybody who knows the fights about who does what in a household will agree. But as already said it would be interesting to have a public debate about this. This could give interesting insights into wether the payment for example for some “one Euro jobs” (or similar proposals like the one of Mrs. Kraft) in the public sector are adequate. For me it would also be interesting to discuss wether grading math assignments (which is not pleasant) is really more than 12 times less unpleasant than being a bank director, assuming that the skills are comparable. Are you sure that you do not like competitions? So why did you then send in your suggestion? Since I think this is a more general issue, I decided to make a blog post out of this. There are three major aspects of a competition. One is filtering, one is evaluation and one is motivation. A competition is filtering since it is making a choice between the objects/subjects under competition. A competition is evaluating since this choice is usually done with respect to some “value scale” that is for example in the olympic games the value could be e.g. “high velocity” and the filtering is thus to filter out the fastest. However in an art competition for example the “value scale” is not so obvious, people may talk about “quality”, as a possible value, but usually in an art competition, the filtering is mostly subject to a quite unspecifyable/predictable “value scale”. The third aspect is that a competition may serve as fostering motivation, it may make people increase their commitment to a certain task. That is for example the runner in the olympic games may be running faster and giving his/her best due to the “competition”. Likewise in the working world a competition may filter out “the most efficient/capable”, moreover usually competition is regarded as a necessary condition for motivating people to work hard enough. Efficiency and a motivated workforce is usually essential to make profits and since competition solves all these demands all at once it therefore is a kind of “must-have” for “capitalists”. Often enough the principles of evolution (“survival of the fittest”) are taken as a justification of these paradigmas. However it should be noted that there there are enough examples, which display that in evolution things are more complicated, in particular the “survival of the fittest” may not hold for the individual but for a group of species. Nevertheless as a result our western society is highly “competition-oriented”. In my point of view – especially by looking at the odd sides of competition, like for example where it is leading to things as exploitation or monoculture – this can be very problematic and I think a more critical view on competition as such may be at place. It is of course more or less unavoidable to take part in competitions and unfortunately one has to go through quite some competitions in order to have a saying. Grades in school already constitute a “competition”. And again in this example a competition serves as an agent for “evaluation”. On the other hand this example already makes it also clear that the above mentioned major aspects of a competition can at least partially be transferred to other means. That is an evaluation can also be done by purely measuring capabilities/competences, i.e. the competitive aspect of being compared to others can be reduced. Likewise motivation can be driven by interest, social connectivity etc. In short competition may not even be a necessary condition for efficiency. On the contrary if the competition and “optimization of efficiency” is too strong competition can be counterproductive (see e.g. the last Toyota crisis). Last but not least the “filtering” aspect of competitions may lead to a blindness for other “filtering” criteria. Thus if for example “fast profit” dominates the “value scale” for a competition other possible criteria, like social conditions etc. are going to be neglected. Moreover the conditions for filtering may be unfair/too restricted etc. (read also this randform post about competition in the academic world). So yes my comment in the blog post was referring to all that but it was also expressing a subjective discomfort with competition, in particular for me competition is usually not the most motivating force. For example in school sports I was especially slow if I had to run with others. I do not object to evaluation, on the contrary a regular feedback is important for me, however I do not always need the comparision to others. The comparision to others may impose quite an extra stress, rather than motivation. This can go as far as this: If I notice that someone wants to challenge me for a competition I sometimes prefer to completely step back. In particular there are people who want to make everything into a competition. I find that unpleasant, since in these cases one has not only to decide about the issue in question, but also about the aspect, wether one is up for a competition. I took part in this design competition mentioned in the blog post, because I actually would have liked to discuss my chair with others and get critics about the design etc. and eventually connect to people who might be interested in building a prototype (if you put your design just into a forum or on your blog than the response is usually not very big). So unfortunately in this competition nothing like that happened. Thats in part what I do not like about these usual competitions. Moreover there are more and more competitions, where you have to pay an entrance fee (apart from postage etc.) in order to present your work. I think this is crazy. Who is taking part in these competitions? You are currently browsing the randform weblog archives for March, 2010.